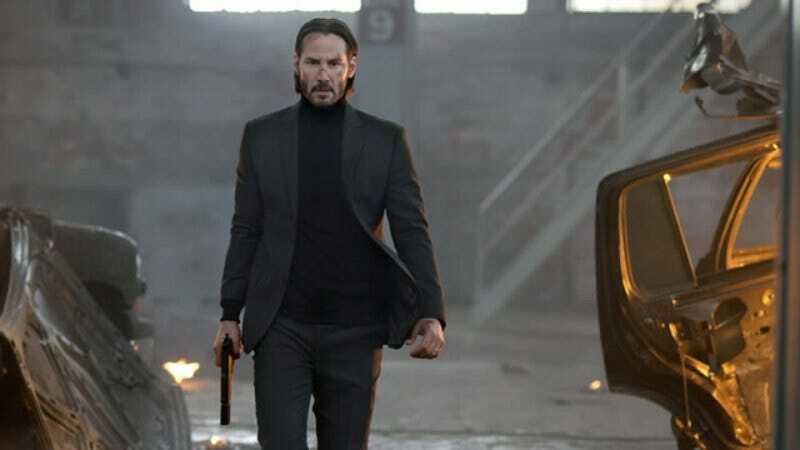 Much like Liam Neeson’s character in the Taken movies, Keanu Reeves’ John Wick in John Wick was a guy who was good at killing people, retired from killing people, and then got pulled out of retirement so he could kill more people. Also like Liam Neeson’s character in the Taken movies, John Wick is going to get pulled out of retirement again so he can kill even more people. Life as a retired murderer or whatever must be pretty stressful, since you never know when an unfortunate series of events will force you to go get revenge on a vaguely European gang of some sort. Anyway, Lionsgate has now officially announced that Keanu Reeves and directors David Leitch and Chad Stahelski will be getting back together for another vengeance-filled John Wick movie. In a press release, Lionsgate exec Jason Constantine said, “with such tremendous fan and critical support for John Wick, we knew that there was still so much more of the this story to tell,” which is a creative way of saying “thanks for giving us money, John Wick fans.” The press release doesn’t have any plot details, but we hope the justification for Wick’s next rampage also involves a murdered puppy. It’s a cause that everybody can get behind.